Halloween is fast-approaching and there’s nothing more fun than transforming your home into a haunted house for the night! 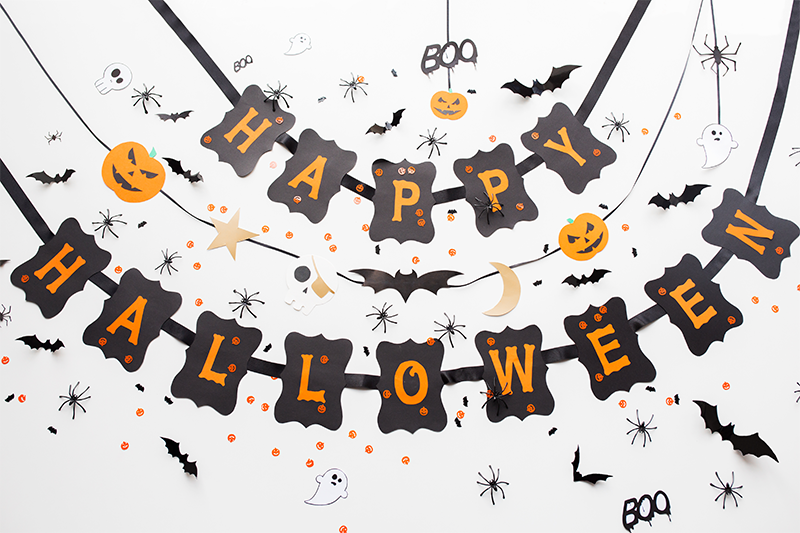 But what’s truly terrifying (even more than ghosts and ghouls…) is damaging your walls by sticking up decorations with sticky tape and tack that will peel away your paint. Luckily, there is a better way to hang your Halloween décor. Read on for a couple of easy ways to decorate this Halloween with VELCRO® Brand HANGables® Removable Wall Fasteners. 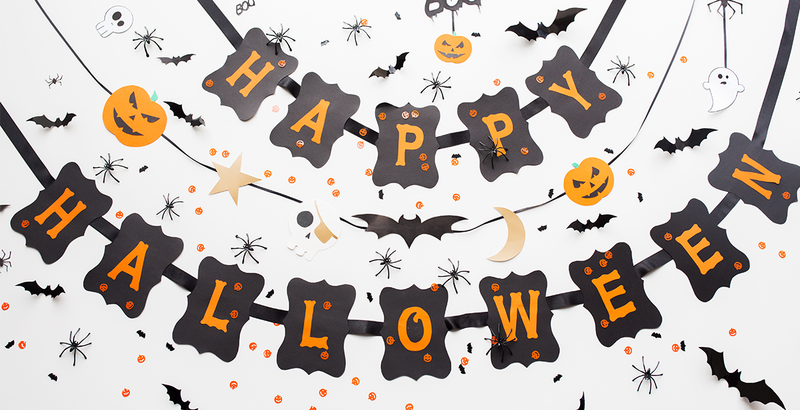 Halloween décor is a great way to instantly spookify a room – but hanging it with sticky tape or pins is a fast-track route to damaged walls. VELCRO® Brand HANGables® Removable Wall Fasteners are a much better way to hang all of your decorations- and they’ll peel straight off after the party. 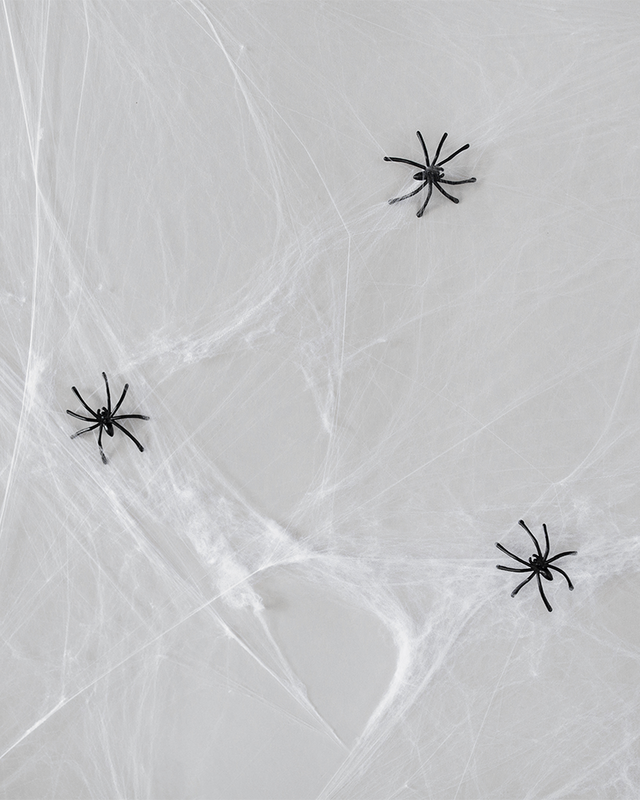 Make your guests’ skin crawl with this easy Halloween decorating idea that won’t harm your walls! Stick creepy crawlies to the wall with VELCRO® Brand HANGables® Removable Wall Fasteners and it’ll look like real spiders are crawling along it! 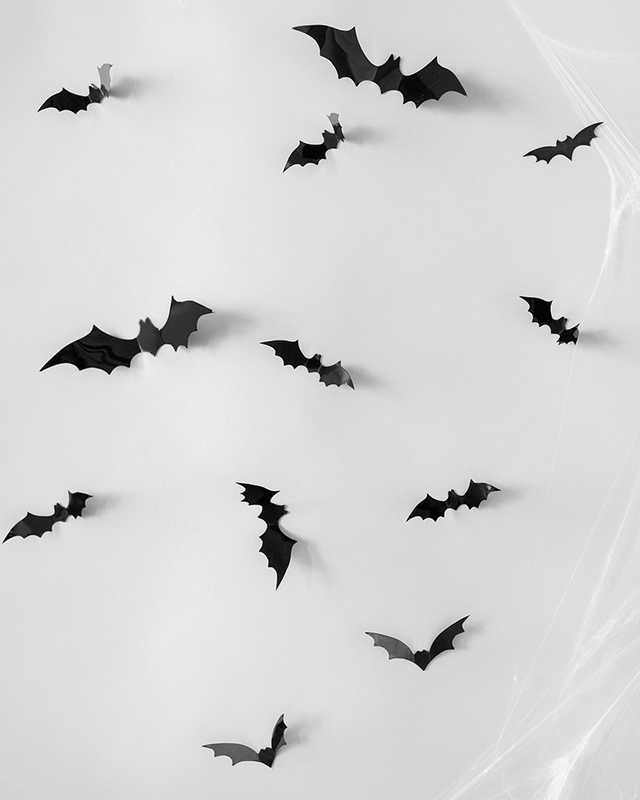 If you’re short on time but you’re feeling creative, try making these easy bat decorations! Cut a selection of different sized bats out of black cardboard and stick them to the wall with VELCRO® Brand HANGables® Removable Wall Fasteners. They’re a great way to hang Halloween decorations on your walls without damaging the paint and they’ll instantly transform the room! It wouldn’t be Halloween without a pumpkin or two and they’re a great way to decorate without having to hang anything on the walls! But if you don’t have time to hollow out a pumpkin (let’s face it, it takes ages), have a go at this easy no-carve pumpkin idea! 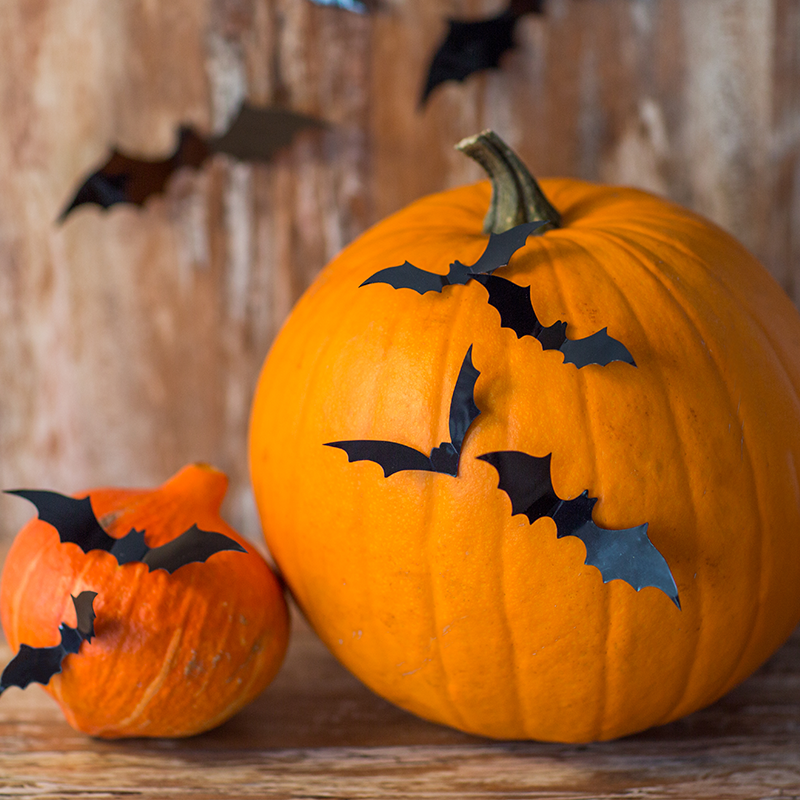 Just cut out some cardboard bats and stick them to your pumpkin with VELCRO® Brand Dots! And that’s it! Ready to start planning the décor for your own Halloween party? Shop VELCRO® Brand HANGables® Removable Wall Fasteners or stay on our blog for more Halloween ideas!